December 2013, Vol. 23: 59–63. The notion of discreet sound arises through the encounter of the sonic avant-garde with the post-studio methods of the field of sculpture: a distinctive, situational aesthetics that aspires to relocate, and sometimes to disperse, the listening experience within the varied spaces of everyday life. 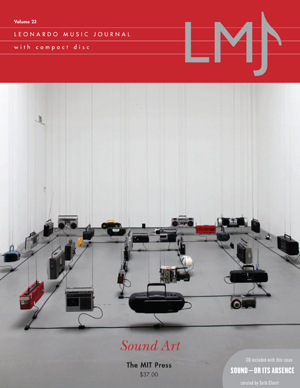 In sound art, however, there seems a predominant interest in the sounding object as an experience delivered to the audience through indoor modalities. By comparing these two tendencies, this article observes some of the implications for the ways in which we think about the site and modes specific to listening practices.